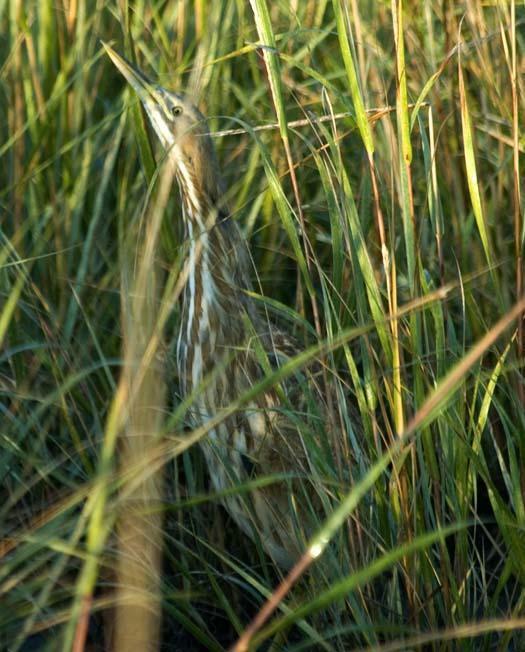 This American Bittern thinks it has disappeared in marsh grass just as the rising sun spreads into the scene. 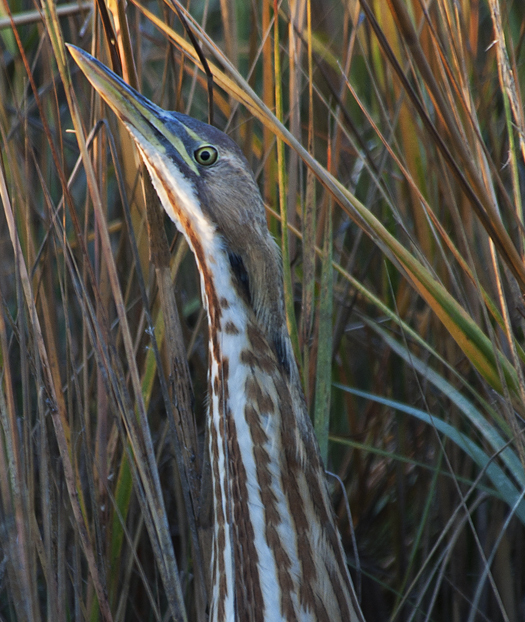 American Bitterns have a color pattern that allows them to blend into the grasses they live in. They also point their beaks skyward to add to the effect of being one with the marsh. 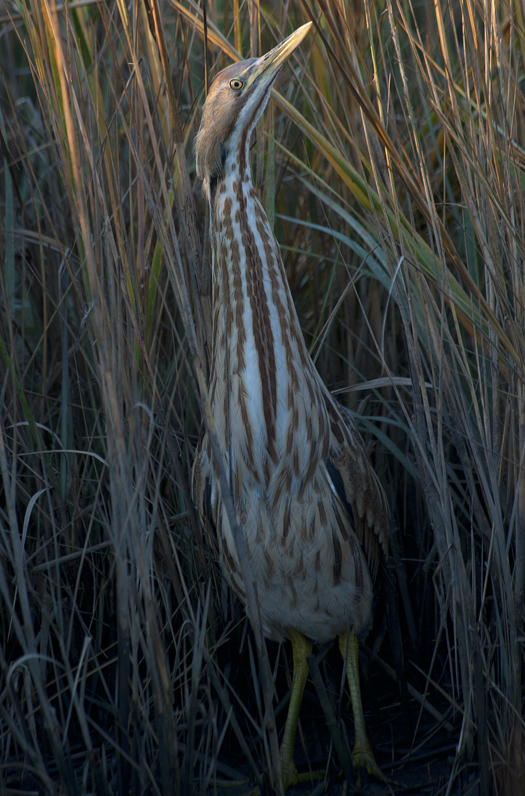 I found this bittern this morning doing a fine job of blending in even though its beak broke into the early rays of sun.